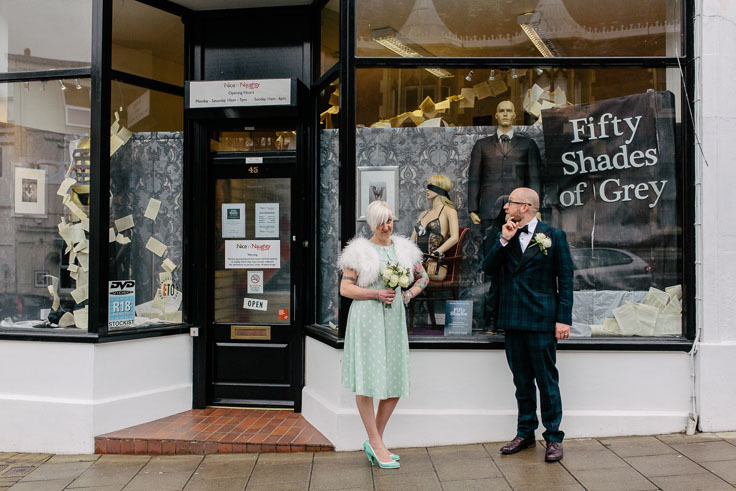 Every now and then I get asked to photograph a mid week wedding with a few hours coverage. 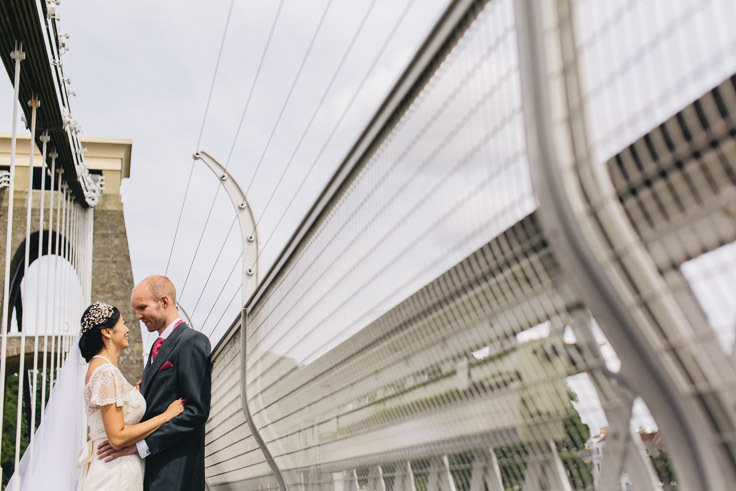 Whilst most of the weddings I blog are full day affairs, I just wanted to share some lovely photographs from Paul and Maria’s Hotel du Vin wedding in the centre of Bristol back in May. 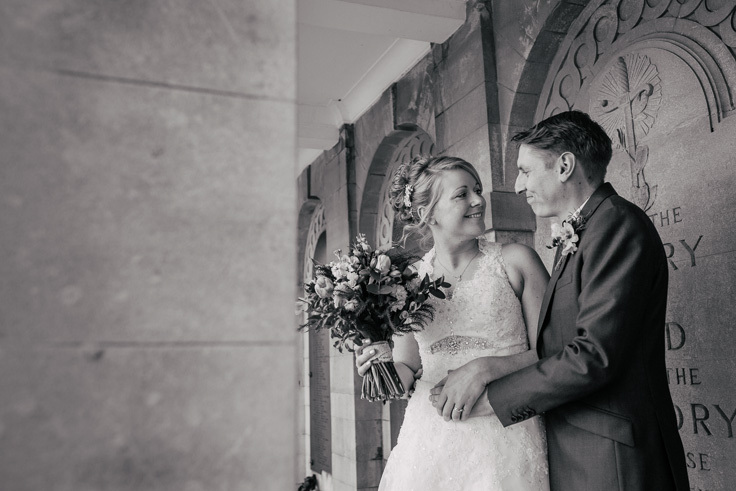 Already well known for it’s fine food, Hotel du Vin is makes for a very relaxed, cosy wedding venue, challenging in parts from a photography standpoint due to it’s low light conditions. After an intimate ceremony with close friends and family we went for a short walk to the Christmas Steps on what was a blustery on/off rainy kind of day. With the weather dictating play I had to get a little creative with some of the more sheltered spots. 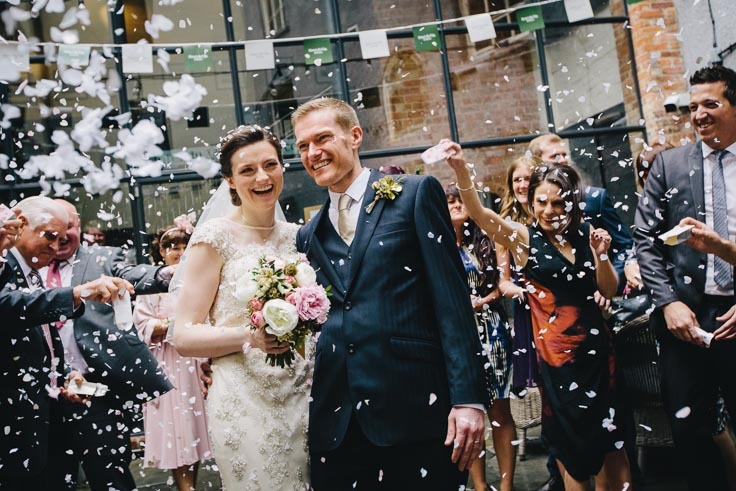 Top tip: no matter where you decide to get married be generous with the confetti – definitely my favourite images from the day!